The origins of the Museum can be traced back three years before it opened, to October 1933, when the Cambridgeshire Federation of Women’s Institute held an exhibition called, ‘A Festival of Olden Times’ in the Guildhall. Each village that participated presented local objects and the exhibition was such a success that there were calls for a permanent social history collection to be established. One of the figures involved was Ernest Saville Peck. Cambridge born and educated, Ernest was a pharmacist, councillor and founder of the Cambridge Rotary Club. A year after the exhibition he gave a talk to his fellow Rotarians in which he proposed a ‘Museum of Bygones’. The museum he envisaged would, ‘illustrate the old-fashioned life of the town and county – a life which was silently and rapidly passing away. It would be a collection of common objects, in a sense trivial and without intrinsic value, but which would faithfully reflect the everyday life of the people in the past centuries’. His proposalreceived much support and the ProvisionalCommittee was formed to investigate the idea. In 1935 the Committee distributed a pamphlet inviting interested parties to a public conference on 26th October to discuss the formation of a ‘Folk’ Museum. As reported in the Cambridge Daily News on 28th October, two resolutions were passed at the meeting. 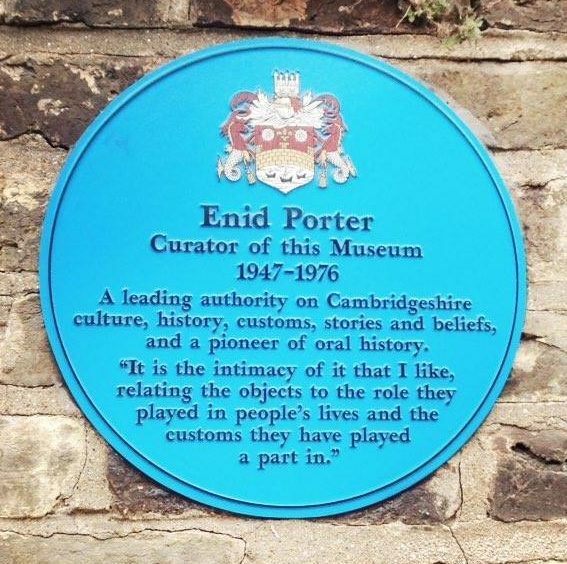 The first was, ‘that an Association be formed which shall have as its object the establishment in Cambridge of a museum for the exhibition of objects of special local interest dating from medieval times onward’. The second resolution, ‘That the Association shall be authorised by this conference to hire the premises of the old White Horse Inn, No.2, Castle-Street, for the purposes of the museum’, was also agreed.  The Association was made up of a diverse group of people from both ‘town and gown’, which shared a common interest in history and collecting. Like Ernest Saville Peck, they were all prominent members of Cambridge society. Catherine E. Parsons from Little Abington was Chair of the Cambridgeshire Federation of Women’s Institute, an avid collector and local historian she curated ‘A Festival of Olden Times’. 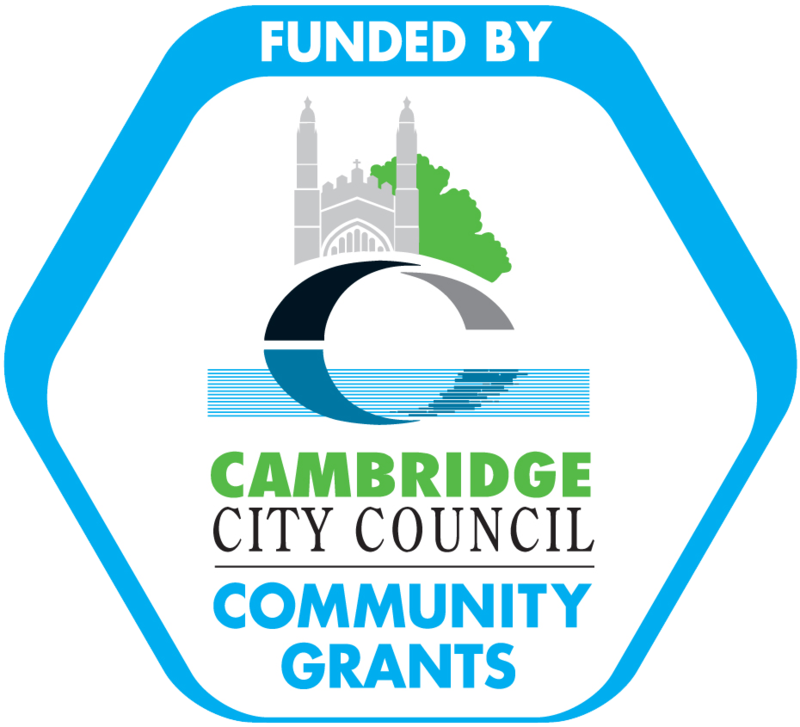 Dr Frank Robinson, Vice Chairman of the Provisional Committee, was a Rotarian who kept a photographic record of the rapid changes in development in Cambridge during the period. Dr John Saltmarsh, born in Oakington, was a historian and fellow of King’s College and the first archivist. Dr William Mortlock Palmer was a doctor from Linton and an author of several pamphlets on local history; together with Frank Robinson and John Saltmarsh he was also a key figure in the Cambridge Antiquarian Society. Florence Keynes (mother of economist John Maynard Keynes) was a social reformer, the first female town councillor and in 1932, second female Mayor Of Cambridge. Sir Sydney Cockerel, Director of the Fitzwilliam Museum, and Lord Fairhaven of Anglesey Abbey and Maud Darwin were also involved. 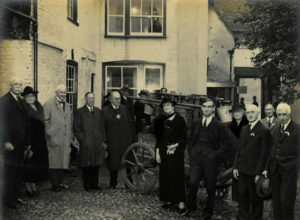 The Association worked quickly, holding their first general meeting in March 1936. Mrs Adeane, wife of the Lord Lieutenant of the County, became Patron and Florence Keynes was elected as President, a role she would hold until her death in 1958. Catherine Parsons was appointed Honorary Curator and Reginald Lambeth given the post as Resident Custodian. They began accessioning items into the collection in July. Around nine hundred exhibits were collected and arranged as naturalistically as possible within the appropriate room settings and throughout the yard. By November 1936 the Museum was ready to receive the public. 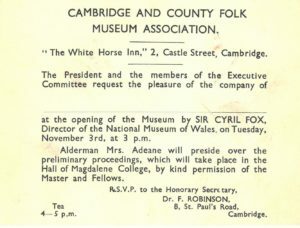 On Tuesday 3rd November 1936, Sir Cyril Fox, Director of the National Museum of Wales, officially opened the Cambridge and County Folk Museum. In his opening address he commented, ‘I am inclined to think that in the University of Cambridge there is more exact knowledge of the social anthropology of let us say, Papua, than of Pampisford’.